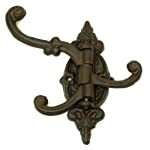 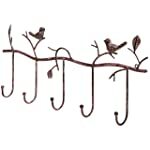 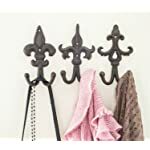 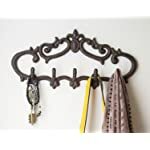 Rustic-style decor is a wonderful way to bring a dash of charm to your home, and this lovely coat hook rack is no exception. 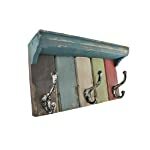 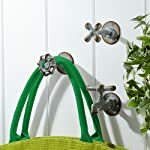 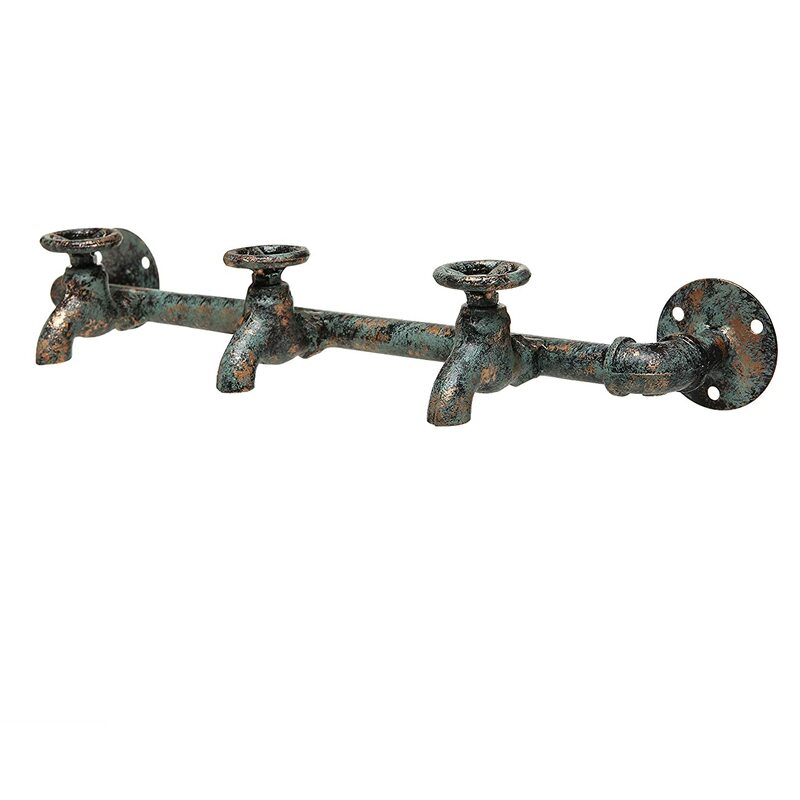 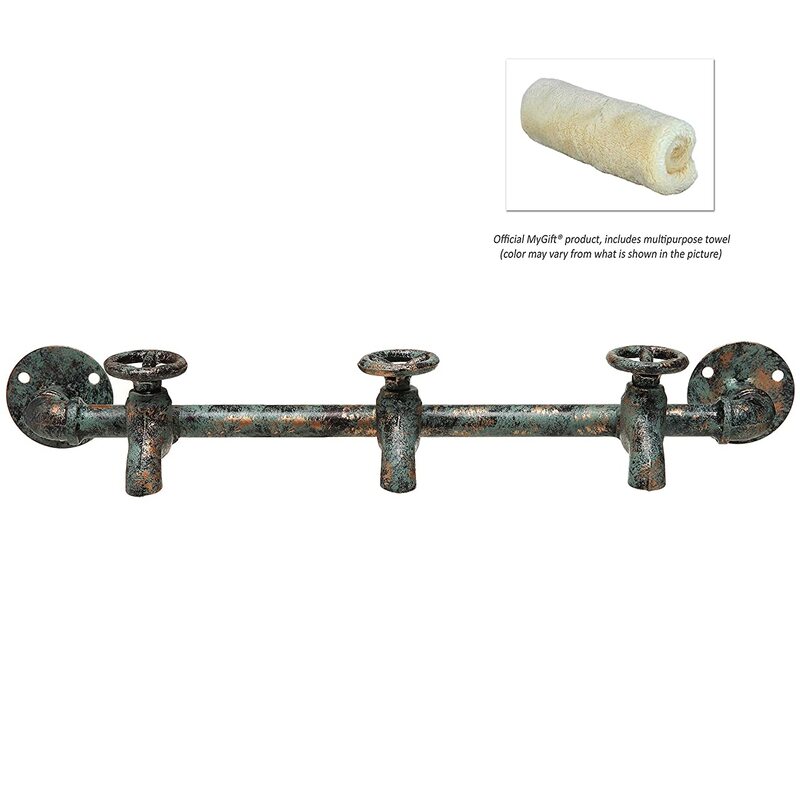 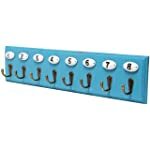 Made of sturdy metal, this wall-mounted hook rack is designed to look like a pipe with 3 old-fashioned faucets and a rustic-style finish in a lovely shade of turquoise. 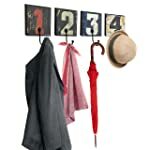 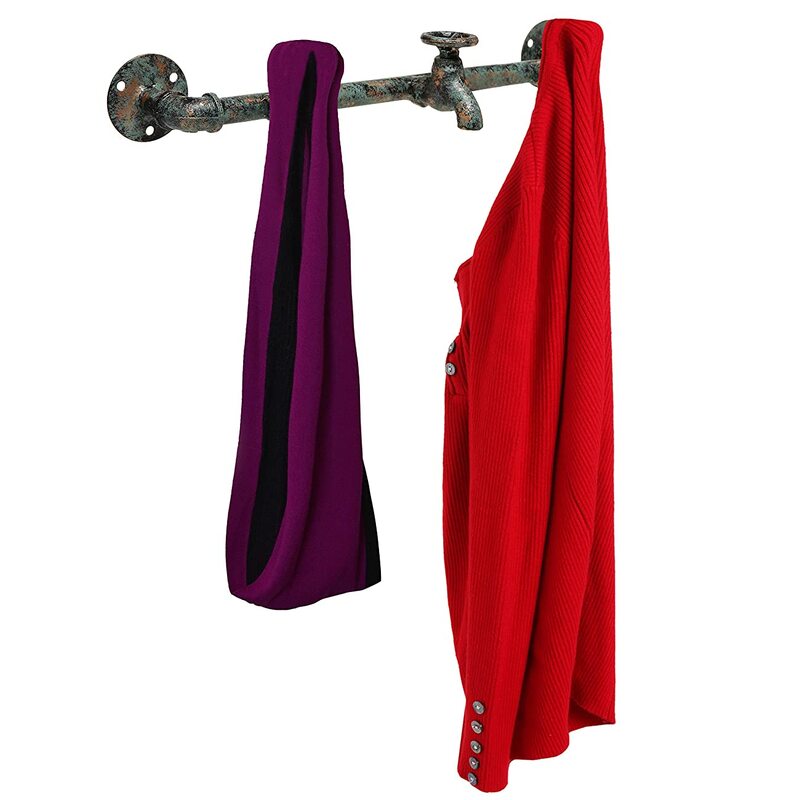 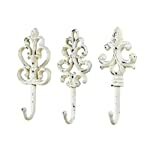 The 3 faucets can be used as hooks to store all manner of hanging items, including coats, hats, scarves, handbags, robes, and towels. 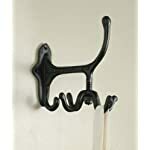 Just attach this beautiful storage hanger rack on any wall using the included mounting hardware, and you&apos;ll have the perfect mix of convenient storage and vintage-style charm to brighten up any space. 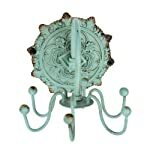 Approximate Dimensions: 19.25" W X 3.75" H X 5.25" D.